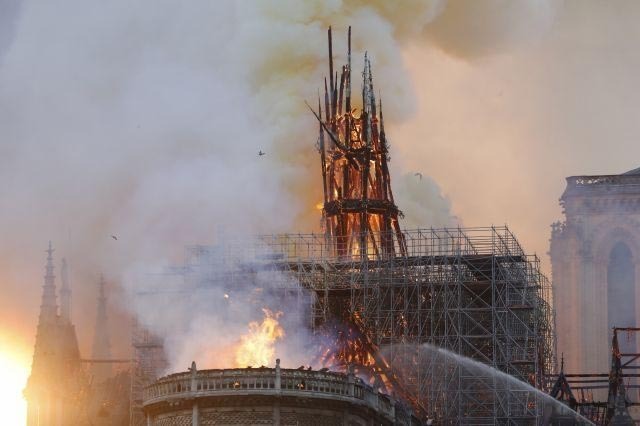 Sad to learn about the fire in Notre Dame Cathedral. I’ve been to see the famous castle of King Ludwig in Bavaria, Germany. It is splendidly beautiful. Never had the opportunity to see Notre dame Cathedral. I’m glad there are many rich French nationals vowing to rebuilt the cathedral. I came across this article -“European churches: Vandalized, defecated on and torched “everyday”. I wonder if there is a link. But there’s only talk of the fire being an accident on all the msm news. So, I guess there’s no link, thank god!. forces. Shuyun has some sympathy for the destruction wrought by communists and admits she initially believed the grotesque propaganda spun by the CCP. The CCP never admitted its criminality in Tibet and instead used propaganda to dirty laundry it’s crimes by creating a pervaded and psychopathic commentary about pre-invasion Tibet. Tibet’s national treasures were looted and including Ramoche Jowo which was brought to Tibet by Princess Brikuti Devi of Nepal were vandalised and taken to China. Even the holy Jokhang was used as a pig sty and all the gold ornaments and gold offering objects such as butter lamps and statues were looted and disappeared. This loss and hurt the French feel is also equally felt by the Tibetan people for the immense destruction wrought by communist China. Comments on this post will automatically close in 5 days.